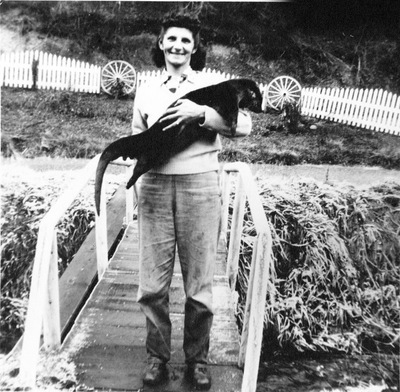 Marie Burchak holding a land otter caught in upper Kittitas County, Washington. "Fur Industry" (1955). Frederick Krueger Photographs. 810.